What makes Rawhide superior to other retailers is our immense collection of premium leathers and fabrics coupled with our passion for beautifully hand-crafted furniture in Toronto, ON. All of our pieces are manufactured at our Toronto factory location. No expense is spared to ensure that all of our pieces exceed the industry standard for ultra-luxurious high-end furniture at competitive prices. Bench made construction, top of the line materials and almost unlimited customizable options are just a few things which make Rawhide a unique experience and ensures that all of our pieces will last from generation to generation. To ensure its longevity Rawhide offers the best warranty in the business. Since Rawhide is the manufacturer of all of our styles, we can customize the overall size, seating space, arms, depth, cushions, legs as well as anything else to fit your unique style. All this at no additional charge. We also guarantee that our pieces can fit into any small space including basements and condos as we offer in-home assembly. At Rawhide our affordable modern furniture creations are all about YOU. Customize don’t compromise. Rawhide only uses premium hardwood in the construction of our frames including maple, oak or ash. The wood is expertly kiln-dried and sourced from 100% Canadian mills. Rawhide warrants the frame for the lifetime of the piece. All pivotal joints are conjoined via double-dowels as well as glued, screwed and stapled where required. Rawhide uses the most advanced drop in coil spring seating which utilizes time tested coil springs that are comfort engineered for the most in support and durability. Cross supports feature 14 gauge steel to provide increased lateral stability. Lastly the steel grid utilizes an oil-tempered spring steel grid which has been proven in the industry to eliminate noise top support systems found in other spring constructions. Rawhide warrants the springs against any defects for the lifetime of the piece. Premium 2.2lb foam is standard in all of our seat cushions and is offered in a soft medium and firm density at no additional cost. Customers also have the option to upgrade to high density 3.2lb commercial grade ultra-cell foam as well as goose down cushion toppers or seats comprised completely of down. These seating options allow for the highest quality of support and comfort while still maintaining long lasting durability. We use a center core of high density soft foam which is luxuriously wrapped in premium Dacron. 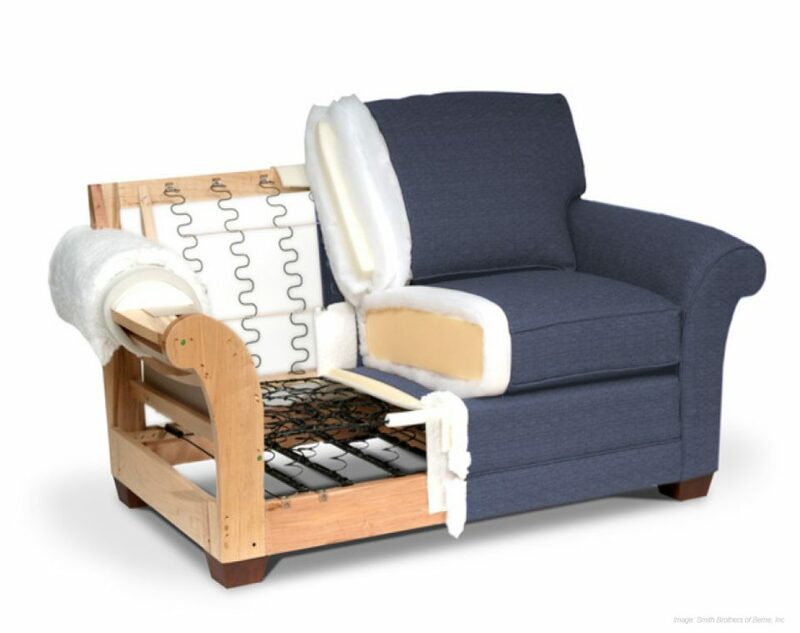 An extra layer of support can be added within the back cushions to provide additional support for the lower back. To finish it all off, we cover our leather and fabric furniture with premium materials. Visit our Mississauga showroom, or our showroom and factory in Toronto today! Not able to visit? Contact us at 1-877-RAWHIDE for more information!